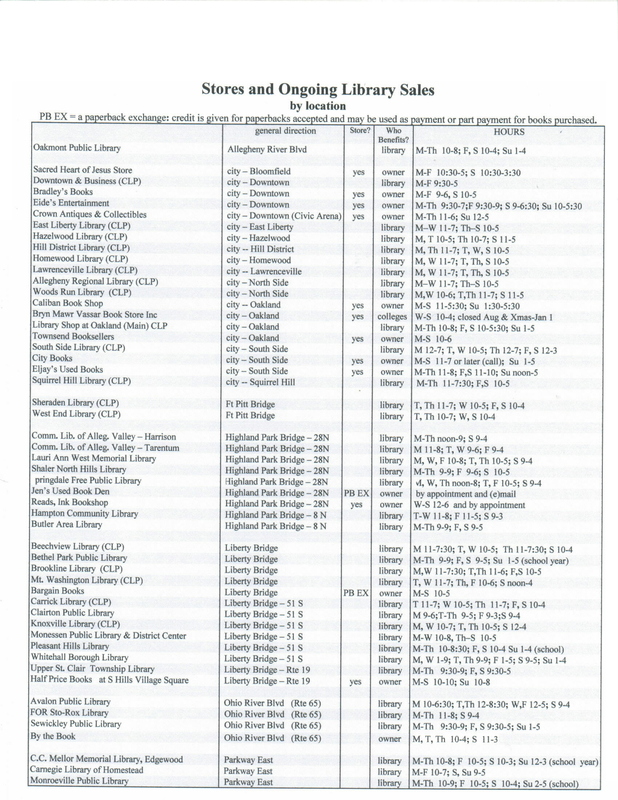 This sample page is only a picture (.jpg) of the Stores and Ongoing Library Sales by Location chart, to illustrate text on the About the List page of this website. The data shown are not up-to-date. To work with the real data, use the Word or .pdf version of the SaleList instead.